hair « Shop Till U Drop!!! Pink love never dies!I went to Muism today.And pop!here’s my new spring trenchcoat…Totally pink and with a hood-sculpted cuffs,shoulders,collar…New day,new love!Dada! I put it on immediately and after adjusting the prim parts (i ‘m a rather big avvie-stretching prims a lot-lol) i made a simple pink black outfit for it,what i’d do in rl for a spring walk (ok, i might skip the earrings in rl).Hope you like it! 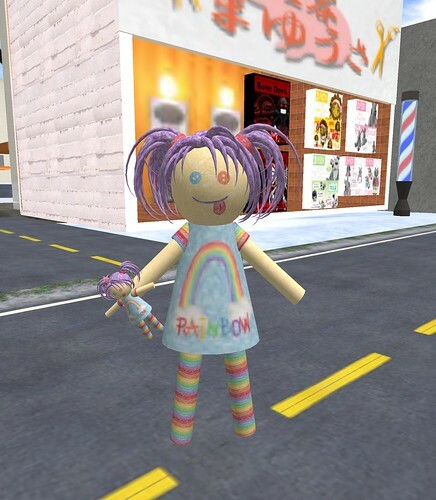 This is the first avie i met in-world today…a tiny doll…hehe (pic was taken in Osaka).So it was meant to be… colors again.I set 2 simple outfits one based on more pale and the second on more strong colors. I hate Valentine’s Day…i mean hate it with passion…fiou…confessed…i’m not worried though,this is so common i almost feel i’m going mainstream here.Please someone wake me up when this is all oooover! 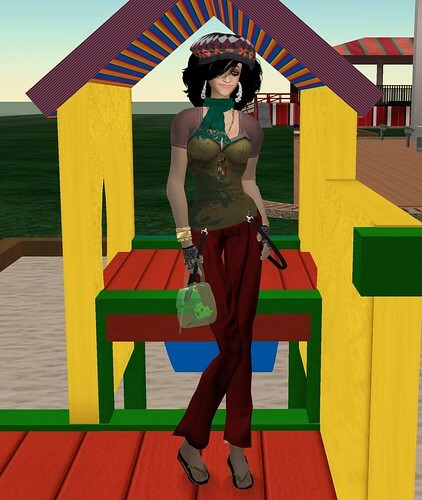 2)Dear SL Fashion Police, i’m somewhere out there looking like this,i swear -DO COME AND GET ME!